The United Nations Educational and Scientific and Cultural Organization (UNESCO) recently added Lum medicinal bathing of Sowa Rigpa on the Representative List of the Intangible Cultural Heritage of Humanity. Sowa Rigpa is the name for the traditional system of Tibetan medicine and Lum, according to China’s Ministry of Culture and Tourism website, refers to the traditional knowledge and practices of bathing in natural hot springs, herbal water or using steam to treat illnesses and balance the mind and body. It was developed by Tibetans who hold a life view based on the five elements of earth, water, fire, wind and space (which has the meaning of the universe). 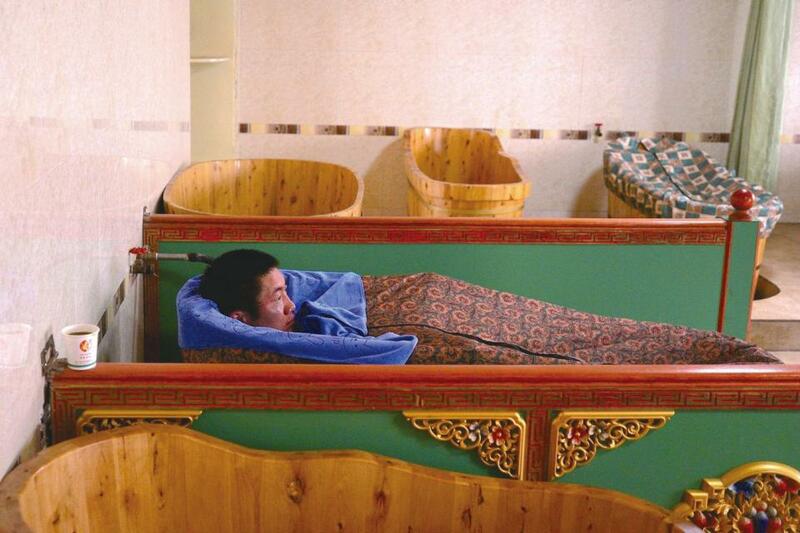 Medicinal bathing is an important part of Tibetan medicine which is widely practiced by Tibetan inhabitants of the Tibet Autonomous Region and Qinghai, Sichuan, Gansu and Yunnan provinces. The Chinese government had added Lum medicinal bathing to its own list some years ago and devised a plan to better protect it. Its addition to the UNESCO list, Chinese media said, will promote more exchanges between different ethnic minorities in the country about their views on life and health.